Smoke detectors save lives. According to estimates by the National Fire Protection Association and the U.S. Fire Administration, U.S. home usage of smoke alarms rose from less than 10% in 1975 to at least 95% in 2000, while the number of home fire deaths was cut nearly in half. Although some of the decline in fire deaths must be attributed to trends in better building codes, reduction in smoking, better firefighting equipment, and better emergency medical care, smoke detectors remain at the front line of fire and smoke inhalation injury and death prevention. With more awareness of carbon monoxide’s (“CO”) role as a silent killer, CO detectors have fallen in line close behind the success of smoke detectors. Accordingly, as recently as December 2016, the Board of Fire Prevention Regulations has promulgated new regulations that apply to Massachusetts residences with five or less residential units, including one and two family homes. The law requires that upon the sale or transfer of such homes, the seller must install approved smoke and CO alarms. The requirements apply to residences that were built or modified prior to the creation of the Massachusetts State Building Code in 1975. The law brings the regulations in line with industry practice that most purchase and sale agreements and mortgage companies require that the seller, as a condition of the sale or transfer, obtain a certificate of compliance. Since March 2006, CO alarms have been required in all residences that have either fossil fuel burning equipment or an attached enclosed garage. 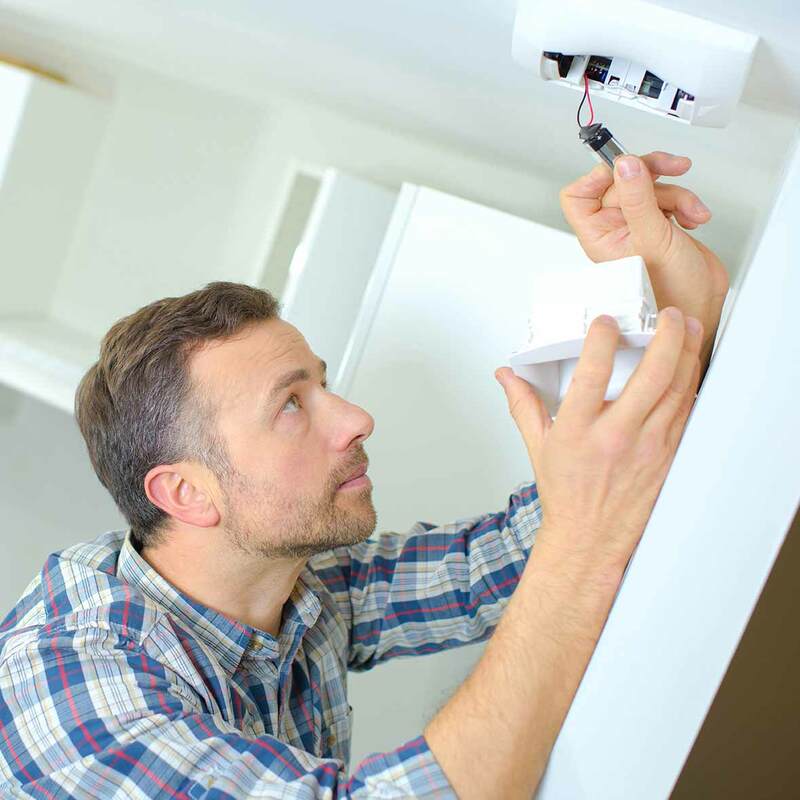 The requirement for smoke and CO alarms varies depending on when the residence was constructed or underwent renovation, addition or modification. Generally, one and two family residences built before 1975 must have a smoke and CO alarm, separately or in combination, on every habitable level of the residence and in the basement. The alarm must be located at the base of each stairway leading to a floor above, including the basement and on the ceiling outside each separate sleeping area. The alarm must be photoelectric which uses light to detect smoke and is better at detecting smoldering fires attributed to more fatal fires. Combination smoke and CO detectors must have both a tone and simulated voice alarm to distinguish the type of emergency. The smoke alarms cannot be more than 10 years old. 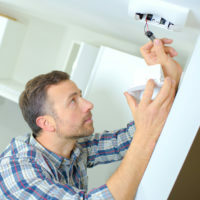 Typical one and two family residences permitted between 1975 and 1997 must, in addition, have a minimum of one smoke alarm for every 1200 ft. of living space per level and be hard wired interconnected smoke alarms. One and two family residences permitted after August 1997 must additionally have one smoke alarm inside every bedroom and must be hardwired and interconnected with battery backup. One and two family residences permitted after 2007 must, in addition, have a single heat alarm in any garage attached to or under a residence. The Department of Fire Services advises that you consult your local fire department’s safety office for a complimentary compliance advice regarding smoke and CO alarms requirements even if you don’t plan on selling your home. If you do have a closing date, contact your local fire department to schedule an inspection and issuance of a compliance certificate. Fees are determined by each city or town.